Indianapolis – Big Brothers Big Sisters of Central Indiana (BBBSCI) is participating in Giving Tuesday on November 27, 2018. On this national day of giving, BBBSCI will be utilizing the opportunity to raise awareness of the BBBSCI mission and celebrate the impact on the community. Outreach efforts will turn to email and social media and utilize 300 agency ambassadors to engage the public in a one-day online fundraising campaign to support the creation of new mentoring relationships, reduce the number of youth waiting for a mentor, and support the agency’s plans for growth. Counterpart has partnered with BBBSCI for the fifth year to create a temporary website (GiveBig.BeBigForKids.org) which allows individuals to make a donation directly to BBBSCI on the day. Local celebrities and business leaders including, Dave Smiley and Nikki Reed from the WZPL Smiley Morning Radio Show; Randy Lewandowski, General Manager of the Indianapolis Indians; Lindy Thackston, Morning Anchor on FOX59; Eddie White, Host of “Pacers Overtime”; Jason Hammer of WIBC “Hammer and Nigel show”; Paul Poteet, Indiana’s Weatherman, Pat Carlini, Guest News Desk-er for the Bob & Tom Show; Dave O’Brien, host of HANK FM’s “Mornings with Dave O’Brien”; and Darcey Palmer-Shultz, BBBSCI Chief Executive Officer; are supporting BBBSCI by participating in a live Q&A on the website during scheduled times throughout the day. 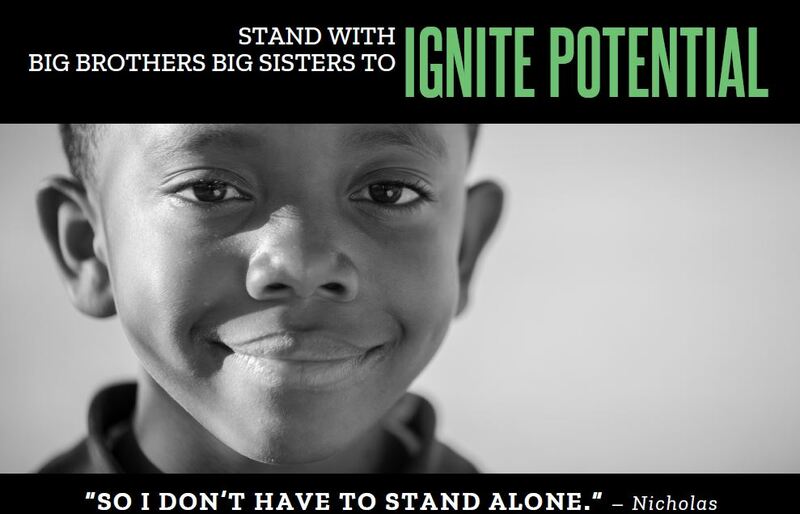 To make a gift in support of BBBSCI’s Giving Tuesday efforts, visit GiveBig.BeBigForKids.org. For more information on how you or your company can support BBBSCI on Giving Tuesday, contact Cassidy Shah at [email protected] or 317-472-3736.